For many years we have proudly assisted hundreds of customers to find their dream home in Cyprus. Collected below is just a small sample of the feedback that we receive on a daily basis. Greetings to Zeynel and all at Royal Estates. This is just a short note by way of thanks to yourself, Altan, Cemal and Ibrahim for all the help and advice you have given me for the past number of years. You have at all times lead me in the right direction in terms of good investments to the point now - as you know - I tend to leave everything to you, in the knowledge that it will be carried out efficiently. All my rental arrangements have always been well looked after and I always feel confident that you make the correct decision. Some of my dealings/requirements have been ‘trying’ for you but there never seemed to be any difficulty in sorting things out. I have been extremely pleased with all the advice you have given me and I want you to pass this thanks on to all the staff at Royal Estates. I have had pleasure in recommending you to lots of other people whether they have been looking for investment property or buying for their own use and their feedback has been very positive also. So well done to all. "I would like to thank you and your company for the bother, care and courtesy you showed my wife and I am in a very stressful venture…" "I hope that you will pass this letter on to your boss with a view that you should be commended for the way you conducted yourself both in the capacity of your job and as a representative of your company. You do yourself proud in both cases". "We write to tell you how pleased and delighted we are with our villa which was purchased though Royal Estates. The service was second to none and the people who dealt with us were very professional and nothing was too much trouble…"
"We would recommend your company to all our friends and family as we consider we had a most excellent friendly all-round service, which we could not find fault with. Thank you. You really did make our dream come true". "I am writing to thank Royal Estates staff for the professional and courteous way they dealt with my property purchase…"
"So far I am very impressed with the attitude of your staff. I would certainly recommend your company to other people". "I would like to thank you for looking after us when we visited you at the beginning of January". 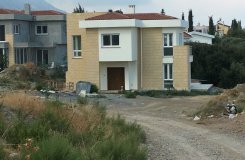 "You acted in a highly reputable and professional manner and we both felt under no pressure to buy any properties which you showed us…"
"I would have no hesitation in recommending you either to my friends or my clients if any of them wanted to acquire a property in Kyrenia in the future".